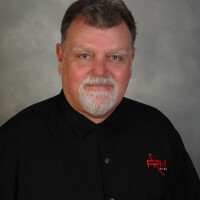 Mitch Ferguson is a Principal Consultant and founder of Ferguson Risk Management, LLC. Mitch has over 30 years of experience as a safety, health, environmental, risk management, and manufacturing professional and consultant. Mitch holds a Bachelor of Science degree in Environmental Health Sciences from The University of Georgia and a Master of Science degree in Environmental Science (Solid and Hazardous Waste Management) from Southern Methodist University. Mitch has achieved and currently holds the Certified Industrial Hygienist (CIH), Certified Safety Professional (CSP), Certified Hazardous Material Manager (CHMM), and Associate in Risk Management designations (ARM). Mitch is also a provisional lead auditor for ISO 14001 and OHSAS 18000, certified by QSA/RAB and is a currently licensed Mold Assessor by the State of Florida Department of Business and Professional Regulation (MRSA 2210). Mitch had served in progressively challenging positions in manufacturing and safety, health and environmental management for the first twenty two years of his career prior to entering the consulting profession. These roles ranged from a chemical manufacturing technician leading up to a role as a Plant Manager in the specialty organic chemical manufacturing industry. His previous employment experiences have exposed him to the chemical manufacturing industries and major brand consumer food production. Mitch’s recent consulting experiences have given him a great deal of additional exposure and expertise in the following industries: steel/cast iron manufacturing and fabrication, electronics manufacturing and assembly, aerospace, transportation, food and beverage manufacturing & bottling, pharmaceutical, and general manufacturing and retail operations. Mitch’s skill sets include over 800 industrial hygiene assessments, safety, health and environmental auditing/inspections/surveys, expert witness testimony, technical guidance (e.g. exposure assessments, control of hazardous energy, indoor air quality, etc.) training & education, program development/review, and management system evaluations.